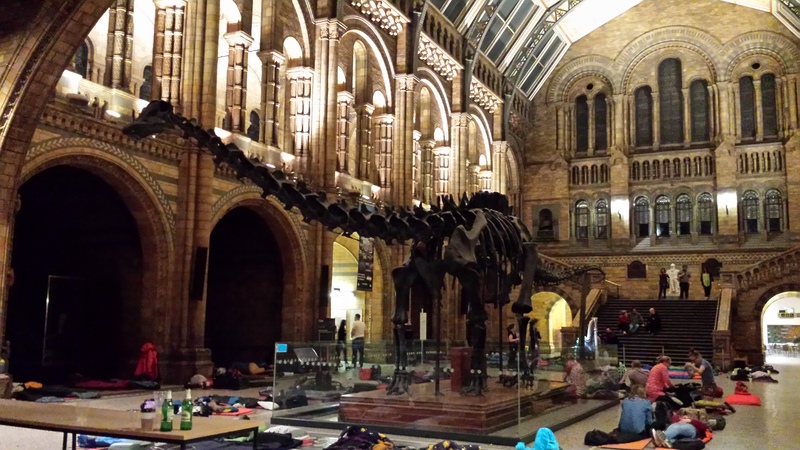 On Friday E and I spent the night at the Natural History Museum in London at a Dinosnores event. It was a brilliant opportunity to explore the museum when it isn’t packed full of people and there were also some great talks, a comedy show and a gin tasting! 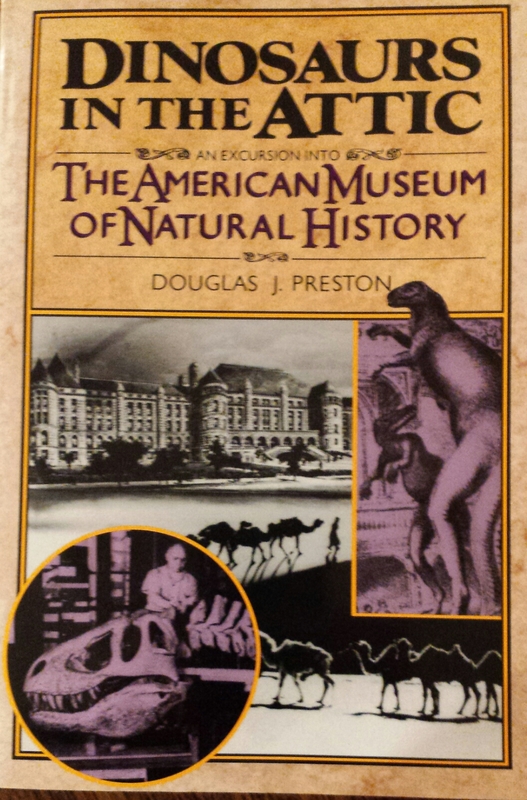 All of which is relevant because it prompted me to pick up this book which is a history of the American Museum of Natural History. What I love about this book is that it makes no attempt to provide a proper, balanced history or overview of the museum’s collections. Instead, the author freely admits, he has chosen to focus on the parts that he finds most interesting and so it is a fascinating collection of stories and information. The first half of the book is about the setting up of the museum and the people involved, while the second part focusses more on the exhibits you’ll find there. The building of the national museum was no mean feat, and the initial founders managed to succeed against the odds when a lot of other attempts had failed. It is a fascinating story, and Preston has a lovely eye for detail when telling it. Apparently, the site they had to build it on was initially not in a very nice part of New York, so when President Ulysses S Grant came to lay the foundation stone, as well as the many gathered dignitaries there were also a number of gathered slum-dwellers. Nobody knows quite how, but the silver trowel the President used was almost immediately stolen and never seen again. Dinosaur bones on display at the London Natural History Museum. The book has a great section on dinosaur hunting. From the initial discoveries through the heydey of Barnum Brown this whole story feels like a race against time to get the bones before they disappear. There are some brilliant stories here too, but my favourite was that apparently Barnum Brown, or Mr Bones as he was known, heard of some fossils in Canada. When he arrived to get them, he discovered that they were built into a cliff in a river and inaccessible by land. So, he built a giant raft and he and his team, with all their equipment piled on and spent weeks bobbing about on the river extracting bones from the cliff face. Can you imagine? What if they had capsized and lost everything?! 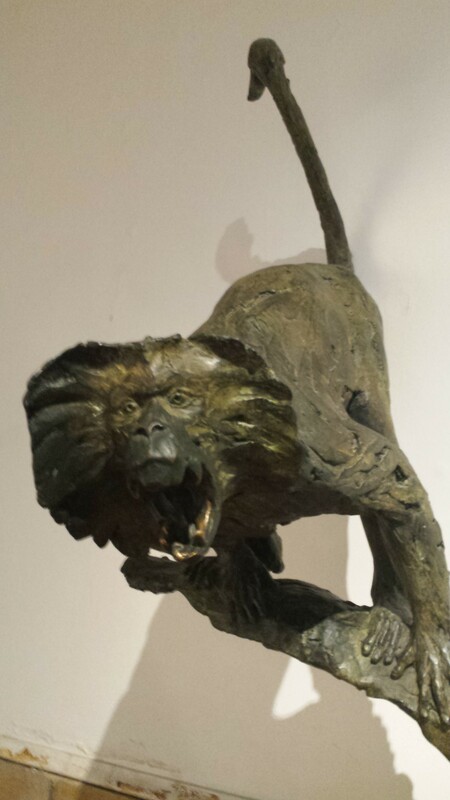 In the early days of the museum a lot of time was spent by explorers heading off around the world to find new species. One of these was Roy Chapman Andrews who spent a lot of time hunting for dinosaurs, and other fossils, in Mongolia. There is a lot of derring-do in this history, which is unsurprising as Andrews was the inspiration for the character Indiana Jones. Another explorer was Carl Akeley who had the vision of setting up the Africa Hall in the museum and then spent so much time collecting specimens that he ultimately died in Tanzania collecting gorillas. It must have been wonderful to live in a world that was so unexplored. We then move on to look at the differed rooms and exhibits in the museum. This starts with a consideration of bones. There are 50 million bones in the American Museum of Natural History. 50 MILLION!! Room after room of dinosaur bones, horse bones, whale bones – you name it and they have the bones of it. And there is some grisly detail about how they get the bones, particularly if they are presented with a whole carcass. My favourite method was to put it in a room full of dermestid beetles who literally eat the flesh way leaving the bones picked clean. Ergh. Apparently the museum has a secret tusk vault where they keep their tusks under lock and key for fear they will be stolen. A sad necessity. The museum also has a vast collection of insects. Indeed, some 45% of their specimens are insects and there is a lot of information here about how there are more insects in the world than anything else. 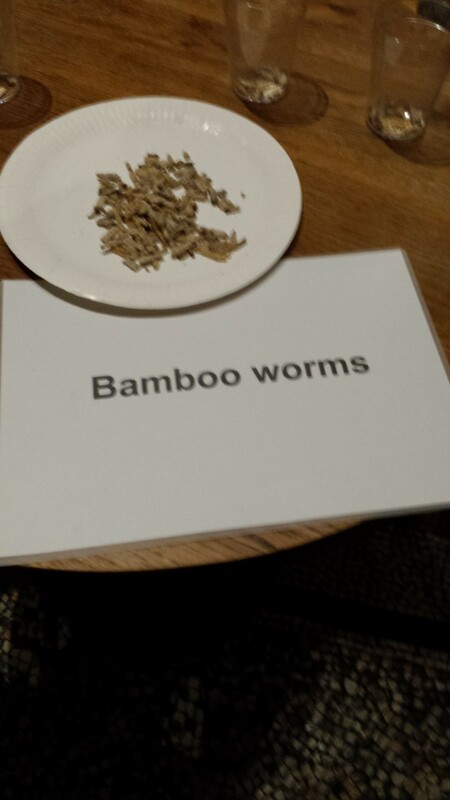 When we were at Dinosnores there was an insect tasting area and the scientists were trying to persuade us that humans should be eating more insects for protein. E and I were not convinced. They were far from delicious. One of the most interesting parts of the book for me was the section on anthropology. The museum curators have made a concerted effort to capture disappearing cultures from around the world. Consequently they now have a vast collection of myths and legends. I guess it had never occurred to me that museums were the homes of stories as well as objects. Running through the book is a theme about how alongside getting the exhibits, the museum went through a process of developing how they were displayed and curated. Initially, the museum seems to have been full of randomly positioned things in the spirit of “where shall we put this mastodon? Oh that corner is free, let’s pop it there”. This soon got out of hand and so it was redesigned a) because scientists had no real idea what was there and tracking down what you were looking for involved a lot of opening random jars to see what was inside and b) to help visitors understand more of what they were seeing. So the idea arose of grouping specimens in their habitat groups, so that the gorrillas were near each other and the plants etc that they lived with. This involved a massive cataloguing project that it makes me slightly nauseous to think about. The book ends with the museum today being pulled into forensic investigations to help the police and the insect department being regularly asked to advise on pest control. Even if the big expeditions are a thing of the past, the museum certainly isn’t. Tags: Barnum Brown, book, book review, books, dinosaurs, dinosnores, Indiana Jones, museum, natural history, natural history museum. Bookmark the permalink. As if you need an excuse to go to New York!